Young people in Europe have been disproportionally affected by unemployment as a result of the economic crisis and a large number of the most disadvantaged are migrant youth, or those of a different ethnic origin, living in deprived city neighbourhoods. This book examines the need for more appropriate interventions aimed at improving the inclusion of young people in the labour market, bringing together theoretical reflections and empirical evidence on emerging innovative policies and practices. 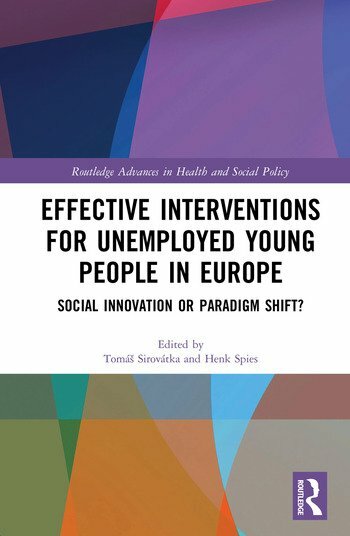 Using case studies from across Europe, it asks how effectively innovative interventions respond to the specific needs, motivations, aspirations and strategies of unemployed and vulnerable youth within the contextual conditions of the welfare state and locality. It also provides a new theory of the effectiveness of interventions. As social exclusion remains high among young people in Europe, Effective Interventions for Unemployed Young People in Europe is essential reading for policymakers and practitioners. This book demonstrates where we can look for effective innovative interventions and how these can potentially add up to large-scale social innovation. It is also a crucial resource for academics and students interested in social and labour inclusion measures. Tomáš Sirovátka is a Professor of Social Policy at Masaryk University, where he is currently heading the Institute for Public Policy and Social Work. He is interested in analysing labour market and social inclusion policies, especially comparative research aimed at exploring the social policies in the Central European countries. Henk Spies is currently director of +Confidence, a SME involved in research, consultancy and training in the social sector, both domestically and internationally. He was a consultant on the reorganisation and development of new client approaches in social services in the Netherlands and Norway.